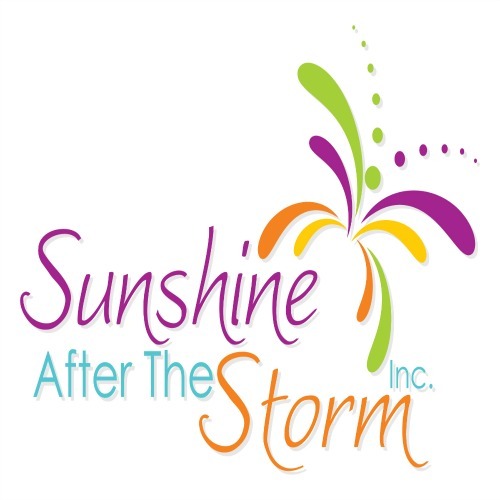 Today I am featuring another one of our contributor’s to the book Sunshine After the Storm: A Survival Guide for the Grieving Mother. I have to apologize to Christina right now because her son Tyler’s angelversary was on December 15th and I really wanted to post this then. Personal matters have kept me away from the blog for a little while, so Christina, I am so sorry for missing his day! Especially since it was so close to Kathryn’s day. It is also appropriate to feature him in December because this is the TTTS Awareness Month. Christina has been part of my life since shortly after I lost one of my twin daughters. Christina, feeling that there was a need to comfort mothers within the Twin to Twin Transfusion Syndrome (TTTS) community who had lost one or both twins, established the TTTS Support Team. It is an all volunteer group, made up of mother’s (and one dad) who have suffered through TTTS with varying results. Once a request is made for a support package, Christina matches a volunteer to the mother. And then that person sends out a care package to bring hope and encouragement to the TTTS mom. I received a package, and was so touched by it, joined the group. And I am so glad I did, because I have gotten to know Christina, the amazing woman that she is, better through the process. If you have gone through TTTS and would like more information on the TTTS Support Team, please contact Christina at chrissporer1122@gmail.com. Put T.T.T.S Support Team in the title of your e-mail. We found out we were having twins around 6 weeks into the pregnancy, and for the next twelve weeks my husband and I were the blissfully naive parents of identical twin boys. We spent our time thinking of names that sounded like they should go together, registering for two of everything, and talking about the inconveniences of double strollers. Then came week 19 when our boys were diagnosed with having Twin to Twin Transfusion Syndrome (TTTS), a disease that affects the shared placenta of identical twins. I was surprised when the perinatologist told us that our twins had TTTS, but not unaware of the disease. I had already been informed about it by my college friend, who had lost both of her twin girls one year before I became pregnant. As soon as she saw my initial posts on Facebook that we were having twins, she wrote me a message telling me her story. I had been researching the disease ever since. She was one of the first people I called after we received our diagnosis. I will never forget walking my dog through the leaf covered streets of Bethlehem and talking to this friend on the phone. I cherish the comfort and advice she provided. As the weeks passed, my twins continued to grow. The amniotic fluid reduction that the perinatologist performed at week 19 seemed to have done the trick! We had several weekly appointments and both boys seemed to be faring well. October turned into November and soon the holidays were upon us. In early December, the perinatologist told us that the babies were small, but growing and he was looking forward to delivering two, healthy identical twin boys. This was the best news that I could have heard and I allowed myself to relax. I thought that TTTS was a distant memory now – a glitch in our pregnancy. It seemed as if we would be able to move on and focus on delivering and raising our boys. I let go of the fear had been plaguing me for weeks and began to have some fun. It was time to get ready for Christmas, and I love me some Christmas! There were cookies to bake, gifts to buy, a tree to decorate and plenty of friends who wanted to see the special attractions in our city. The weekend of December 12, I went shopping and bought a set of matching stockings for our entire family; my husband Jason, our dog Fizz and the two new members who would be arriving in 2011. I hung three of them on our mantel and put the other two away for next year. I also treated myself to some new maternity clothes that day. On Wednesday, December 15, I put on my favorite of the new outfits. I had just gotten a haircut the night before. I remember day dreaming as I drove along the snowy roads to the hospital. I wondered if anyone would notice my new attire. I also worried about my drive to work that day. The road back from the hospital has a huge hill and was I worried about my car on the ice. If you read my story in “Sunshine Through The Storm,” you might remember that I never had to make the drive home. That was the morning when I found out that Tyler’s heart had stopped beating. I was immediately checked into the hospital where I stayed for two and a half weeks, including Christmas. The twins were born at 32 weeks, two months early. Tyler was born into heaven and Chase into this earth. He spent one month in the NICU and was sent home shortly after Valentine’s Day 2011. The first year of motherhood, combined with the first year of a loss, was not easy but we survived. By the following December, I found myself to be in a good mental state. I was ready to celebrate my first Christmas with Chase. I hired a photographer to take our family pictures, the baking resumed and we picked out a nice tree. Then it came time to decorate. I opened the tote with the matching set of stockings and I fell to pieces. My heart broke all over again. I wept for the loss of my son Tyler and I wept for the Christmas that could have been. Two little matching red outfits, fun twin photo ops, and an extra stocking on our mantle. 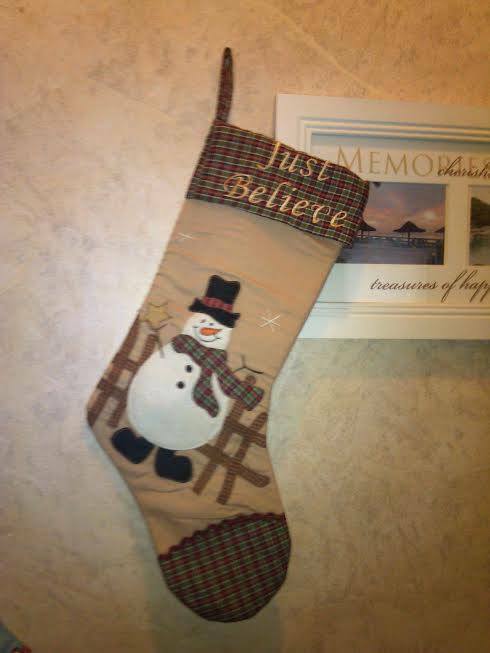 As I stared at the stocking I was reminded of the phone call with my friend after we had first been diagnosed. That day, she told me she had recently come across an empty gift bag. Inside had been the only present that was given to her twins. I am not sure what she did with the present, but the gift bag was left behind. She said that every time she saw it she was overcome with emotions yet it didn’t feel right to throw it out or give it away. So there it sat, her only reminder of two lives that were never lived. At the time her story didn’t mean that much to me but now it made complete sense. I had no idea what to do with the stocking. It didn’t seem right to put it back in the tote but I didn’t want to hang it on the mantle either. We watch TV in that room every night and I didn’t want to sit there, constantly being reminded of what could have been. At one point I was going to send it in a care package to another TTTS family, for their survivor. I figured if Tyler couldn’t use it then at least another twin could, but that didn’t seem right either. I didn’t want to give away one of his few possessions. I shared my dilemma with my friend Kristi, who suggested that I hang the stocking someplace else in the house and this idea felt better than anything else I could come up with. I hung the stocking on the far wall of our living room and that is where it hangs every December. Tyler is not here. The stocking will hang on my wall as a decoration but it will never be filled with stocking stuffers and opened by excited little fingers, still sticky from Christmas morning cinnamon rolls. I will never get to see the light in his eyes as he opens his presents. He will never be part of our Christmas card photo. And that is not okay. If you have suffered the loss of a child, you might be able to relate to this story. The raw pain subsides as the years go on and we think we are doing okay, and then some random thing happens and it brings us back to square one. For many of us, this time of year is when those moments occur more often. We are surrounded by family and friends but someone is still missing and it hurts. I know that I will never be able to return to the blissfully naïve person I was before suffering the loss of my son. I also know that through this loss, I became the strong person that I am today. I believe that someday I will see Tyler again and you will see the children you have lost too. There will be tens of thousands of heavenly holidays with them in our arms. But for now, we must wait. This holiday season, I hope that you have many moments of joy and happiness. That you are surrounded by the love of your family and that you are in a good place with your loss. When the sad times come, know that you are not alone. You can talk to God, your family members, friends and if necessary a clergyman or counselor. loving my son. I love him and miss him so much. My symbol of Nate is a yellow butterfly. Sheila! How on Earth did I miss your comment? Thank you so much for reading my words about Nate. He meant the world to so many of us and I still feel his loss every day. I always think about him when I see yellow butterflies. Always. Thank you for sharing this information here. I really hope it helps someone who needs it.